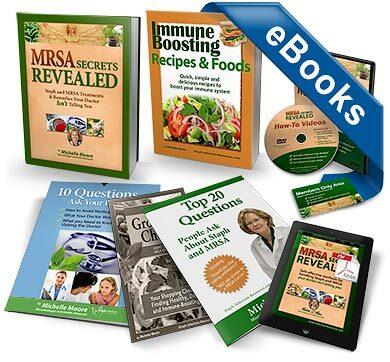 Inside Michelle's Advanced Recovery Program™ (digital version) you get all of her published resources, including her best-selling MRSA Secrets Revealed™ eBook and her Immune Recipes ebook. You'll also get three informative e-guidebooks plus her exclusive how-to videos. Electronic download version, NOT printed materials. 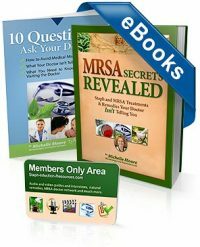 Newly revised for 2016, with , this 326 easy-to-read pages that walk you through Michelle’s 3-step action plan for Staph and MRSA recovery. Many doctors have little or no experience successfully treating Staph and MRSA. And most doctors have no training or experience with antibiotic alternatives, even if antibiotics fail to work. 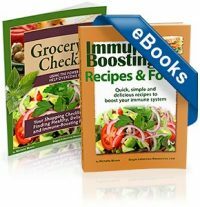 Some foods actively help your body to recover from infections and fight off recurring outbreaks. Other foods weaken your immune system and can contribute to recurring infections and slow recoveries. One of the biggest battle grounds when fighting a stubborn infection is inside the grocery store. Eating the right foods and avoiding certain ingredients can make or break your recovery efforts. Unfortunately, food labels and marketing are purposefully misleading and often very difficult to understand. 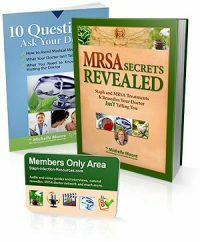 Complementary eBook: The full printed version includes Michelle’s MRSA Secrets Revealed eBook with lifetime updates. 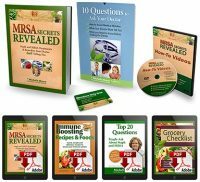 In addition to the 3-Step Videos above, Michelle will show you hands-on exactly how she uses the most powerful infection-fighting methods she’s discovered. 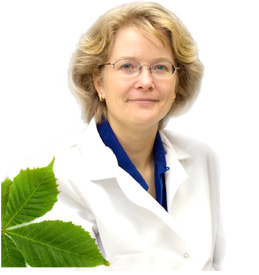 These methods include some of her favorite essential oil methods for skin, internal and airborne Staph and MRSA. You’ll also see her #1 infection-fighting food recipe performed for you. 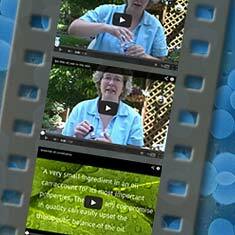 Get instant access to the e-Book Program you can read on your mobile device or computer. Electronic download version you read on your mobile device, tablet, PC or Mac. Free Adobe Acrobat Reader or Adobe Digital Editions app required. NOT printed materials.